McNicholas & McNicholas, LLP actively contributes to the Los Angeles community by supporting various charitable organizations around the county. They pride themselves on giving to organizations making a difference. The following are a few of those organizations. Urban Compass provides a safe educational environment for children living in underserved communities in Southern California by inspiring students to achieve their dreams. Patrick McNicholas, a co-founder, serves on the Board of Directors for Urban Compass and assists in the organization’s efforts of providing a continuum of stability and support through education for children living in the inner city area. The organization was formed in partnership with Verbum Dei High School and 112th Street Elementary School in order to combat poverty and violence and make a difference in the lives of children. 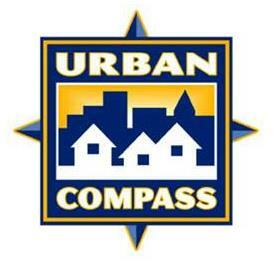 In 2017 Urban Compass is launching a new campus at St. Thomas School in partnership with Loyola High School. Urban Compass continues to encourage students to resist gang activity in economically depressed neighborhoods by creating after school and summer programs that challenge and inspire, including a summer camp, field trips and workshops. McNicholas & McNicholas is proud to have contribute over a quarter million dollars to ensure the continued success of Urban Compass. Los Angeles Trial Lawyers’ Charities is focused on improving the quality of life for people throughout greater Los Angeles and the surrounding areas. Patrick McNicholas serves on the Honorary Board of Governors for LATLC to create a positive difference in the lives of people reached by the organization. LATLC partners with more than 35 local charities that focus on assisting children and battered women, as well as issues of homelessness and education. Founded and funded by Los Angeles-based attorneys, LATLC is dedicated to working collectively to enhance the community and determined to be the driving force behind positive change in Los Angeles. McNicholas & McNicholas, LLP awards a partial scholarship annually to one Loyola Law School student who demonstrates the highest level of legal acumen. In addition to financial compensation, the scholarship provides a unique opportunity for recipients to secure a full-time, paid summer internship that enables participation in all aspects of case-related notions. This includes researching and drafting motions, meeting with clients, assisting in deposition preparation, making appearances with firm lawyers at court hearings and providing all other case related assistance. The scholarship seeks to provide an experience that is rare at such an early juncture in the awardee's legal career, thereby exposing them to an area of law they may choose to enter. Each awardee is selected by Loyola Law School professors Daniel P. Selmi, JD, MPA and John T. Nockleby, JD from their Torts classes. The preliminary selection includes determining the top three students on both academic performance based off of grades, as well as a display of excellence observed in the classroom. Once these students have been selected, an interview is conducted by the firm. Finally, past recipients give their insight into the final selection. The Serra Project is a non-profit organization based in California that provides a safe haven for individuals living with HIV/AIDS. The Serra Project creates housing sites throughout Los Angeles County and offers support programs to individuals or families affected by AIDS that live below the poverty line. These programs include group homes for those in need of 24-hour care, as well as supportive housing to those capable of living on their own. Since 1987, the Serra Project has successfully provided support to more than 1,000 individuals living with AIDS in the Los Angeles area. Verbum Dei High School is a college and career preparatory school for underserved young men in the Watts community. The school emphasizes the importance of graduating from college and each student participates in a “Corporate Work Study Program” that places students in white-collar internships to help pay for school fees. The program allows students to understand professional opportunities presented to college graduates and familiarizes students to corporate culture. Since its establishment in 1962, Verbum Dei High School has sent 100 percent of graduating seniors to college. Since 1872, the Library Foundation of Los Angeles has partnered with Los Angeles Public Libraries to provide educational and cultural programs to the neighboring communities. The independent fundraising organization has raised nearly $119 million for the Los Angeles Public Library in order to enhance the services the library offers. Types of services the library can provide the community include literacy programs, tutoring programs, art exhibitions, as well as a virtual library that protects special items in the library’s collection. AbilityFirst is a Southern California organization that delivers services to adults and children with developmental disabilities. Programs implemented by AbilityFirst inspire special needs individuals to reach their full potential and lend housing support to adults with disabilities. After school enrichment programs and summer camps provided by AbilityFirst assist children in improving communication, social and life skills, while also promoting a healthy lifestyle. In addition to accessible housing for adults, AbilityFirst delivers employment programs and support groups to those in need. The Police Business Association (PBA) of Hollenbeck Area is an association compiled of committed business owners and individuals. Officer Steve Gajda was killed in the line of duty while assigned to a gang enforcement unit in the Hollenbeck area on New Year’s Eve 1997. All funds raised during the annual golf tournament support the surviving children of Officer Gajda. Latina Lawyers Bar Association (LLBA) provides Latinas in the legal profession resources and support in order to secure a successful career in law. The LLBA awards scholarships to law students, offers mentoring programs for new attorneys and culminates a wealth of resources to Latinas in the legal profession through a diverse LLBA membership. The Midnight Runners are a group of legal professionals and homeless men and women, led by Judge Craig Mitchell of the Los Angeles Superior Court, who run together three days per week and every other Saturday to inspire L.A.’s Midnight Mission to lead productive lives through discipline, direction, accountability, and solidarity. Judge Mitchell trains the homeless community living in L.A.’s historical Midnight Mission to complete a full marathon and collects funds to provide running equipment to his team. 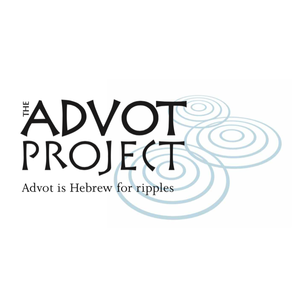 The Advot Project is an organization that works with at-risk youth from various communities to provide guidance and support for personal and social transformation. Through a variety of creative arts programs, participants learn how to better communicate, discover their self-worth and identify short-term needs for long-term goals. Despite the staggering recidivism rate, the Advot Project is proud to report that less than 10% of participants have returned to juvenile detention facilities after completing the program.